The 5.2 channel Denon AVR-S640H features Dolby Vision, HDR, HLG and 4K video pass-thru and HDMI 5 in/1 out. HEOS technology lets you stream Spotify, Pandora, Tidal and more wirelessly throughout the home.unparalleled music playback options, thanks to our built-in HEOS technology, Apple AirPlay 2, and Amazon Alexa voice compatibility for seamless control. The 5.2 channel Denon AVR-S640H AV receiver features Dolby Vision, HDR, HLG and 4K video pass-thru for a stunning home theater experience. It includes 5 HDMI inputs at 4K/60 Hz with full-rate pass-through and HDCP 2.2 support on all HDMI ports. Built-in HEOS lets you stream Spotify, Pandora, Tidal and more throughout the home. A front-panel USB offers convenient audio playback of MP3, WAV, FLAC, ALAC and DSD (2.8/5.6MHz) files. 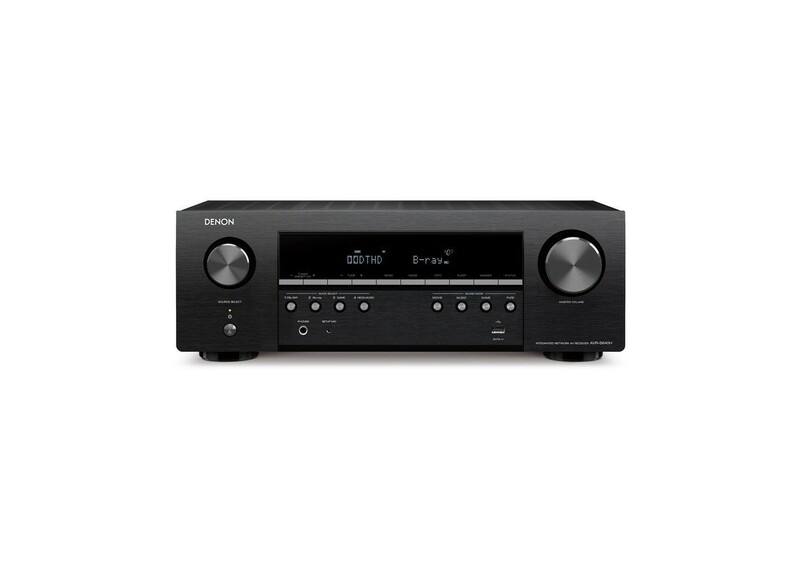 Control your AVR with Amazon Alexa voice compatibility and with our award-winning Setup Assistant, the Denon AVR-S640H is just as easy to setup as it is to enjoy. njoy effortless voice control and total flexibility from the leading voice agents. Speak commands with Amazon Alexa , Google Assistant, Apple Siri and high-end smart home automation, Josh.ai. Ask to play your favorite music, turn the volume up, skip to the next track, switch inputs and more. Switch between voice agents, or pick a favorite to use — the choice is yours. Functionality varies by voice agent.